The digital economy is driving unprecedented data center growth as businesses manage an increasing volume of data generated by connected devices and the IoT (Internet of Things). At the same time, data is becoming a key competitive differentiator for businesses and the need for real-time data access is more critical and downtime more damaging than ever before. A quick introduction is in order, though. The Schneider Electric Galaxy V-Series platform was introduced in 2014 with Galaxy VM series, followed by Galaxy VX series in June 2016. The Galaxy VX’s extended power ranges, answers the need for high availability by providing complete, versatile power support for a diverse data center market. This includes mid-to-large and hyperscale data centers that require an increasing amount of power for continuity and reliability of service. 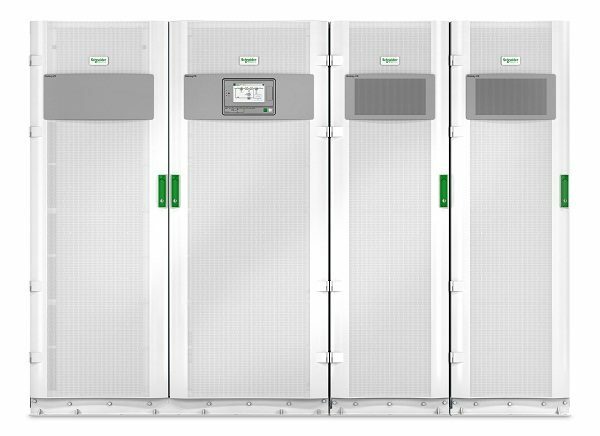 Built with growth in mind, robust Galaxy VX solutions feature a modular, distributed-component design that scales power system redundancy and capacity through incremental 250kW-per unit power cabinets. Additionally, by featuring two I/O cabinets, Galaxy VX eliminates the need to change the I/O cabinet when upscaling the power rating, enabling power cabinet internal redundancy. This architecture enhances overall system reliability, reduces MTTR (mean time to repair) and enables higher levels of protection and fault tolerance. 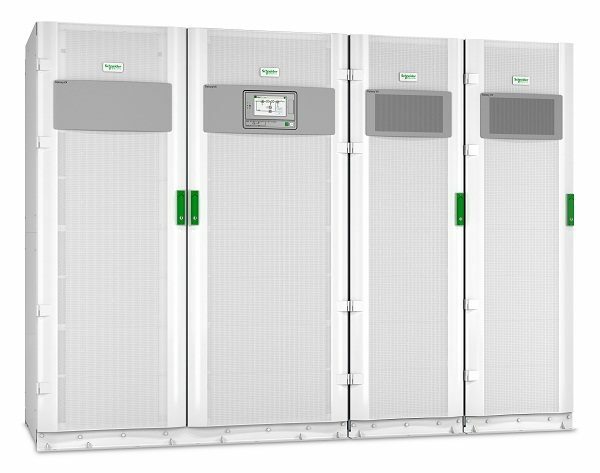 Galaxy VX is fully managed through Schneider Electric’s StruxureOn cloud-based remote monitoring as an integrated suite of DCIM (data center infrastructure management) applications. Through highly efficient Double Conversion Mode, Galaxy VX reduces switching losses using a four-level conversion technology. The reduced switching stress offers greater reliability and reduction in failure rate and delivers up to 96.4%. Galaxy VX also offers a traditional economy mode, which delivers up to 99%. Galaxy VX’s ECOnversion Mode is a hybrid between Eco Mode and Double Conversion Mode. This mode eliminates the need for additional hardware for power cleansing and delivers double conversion performance with up to 99%. Optimized for the enhanced charging capabilities of Li-ion, Galaxy VX can rapidly discharge and recharge extremely quickly in a multiple outage situation. 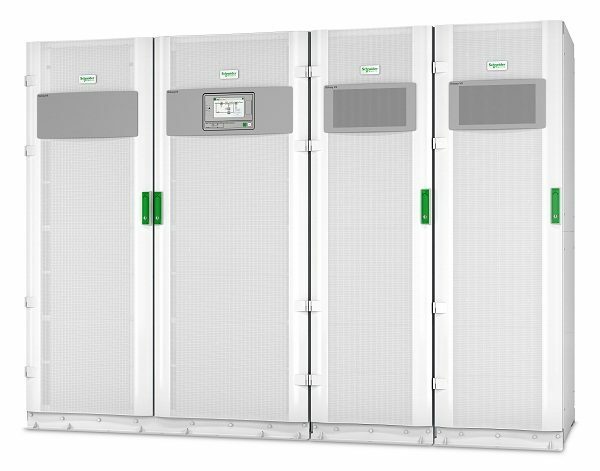 For certain installations, Galaxy VXis available as part of prefabricated power skid architecture to simplify UPS deployment and installation. This minimizes installation time and errors on-site and provides customers with a simple, integrated solution that enables rapid deployment of new power and compute capacity to support their data center growth.